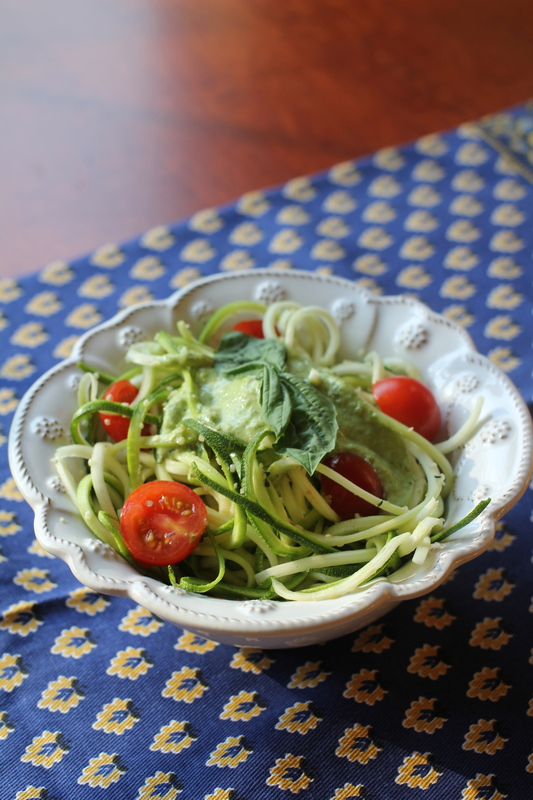 This simple summer dish is loaded with all the flavor, but sans the calories of a typical pasta dish. A spiral vegetable slicer is one of the best kitchen tool purchases I’ve made, creating simple salad and “noodle” dishes in just minutes. 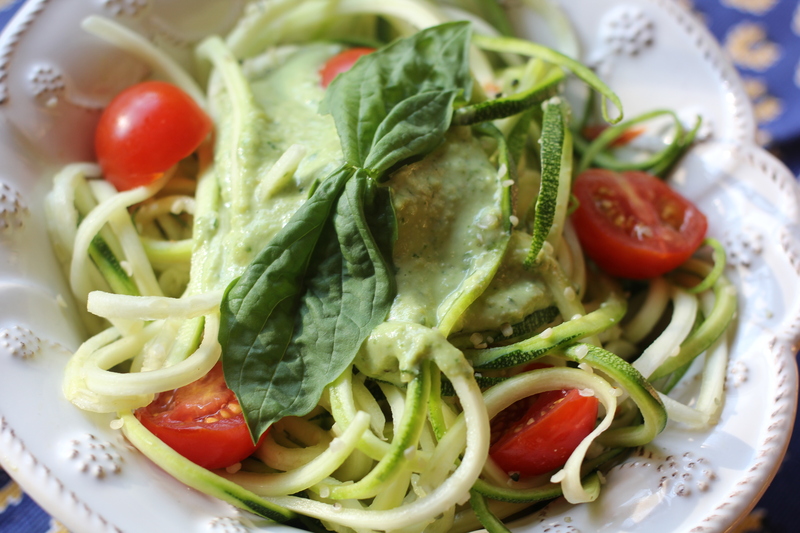 Using a spiral vegetable slicer, spiral zucchini into “noodles.” Add tomatoes, sprinkle with hemp seeds and pine nuts, and top with fresh pesto basil and mix well. Add all ingredients to Vitamix, or food processor, and blend well. Gradually add more water if consistency is too thick.